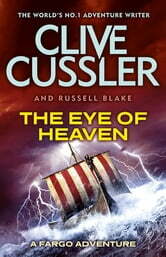 The Eye of Heaven is the outstanding new Fargo Adventure from Top Ten bestseller Clive Cussler. Baffin Island, North-Western Canada: Husband-and-wife team Sami and Remi Fargo are on an environmental expedition to the Arctic, when to their astonishment they discover a Viking ship in the ice, perfectly preserved-and filled with pre-Columbian artefacts from Mexico. It's a combination history suggests shouldn't be possible. As the couple plunge into their research, tantalizing clues about a link between the Vikings and the legendary Toltec feathered serpent god Quetzalcoatl-and a fabled object known as the Eye of Heaven-begin to emerge. But so do many dangerous people . . . Soon the Fargos find themselves on the run through jungles, temples, and secret tombs, caught between treasure hunters, crime cartels, and those with a far more personal motivation for stopping them. At the end of the road will be the solution to a thousand-year-old mystery-or death. 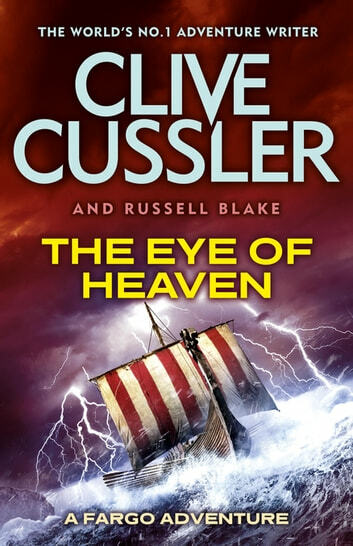 Filled with the trademark breakneck pace and bold plotting that he has made his own, The Eye of Heaven proves once again that Clive Cussler is the Grandmaster of Adventure. This brand new instalment in the popular FARGO Adventures series follows the bestselling titles Spartan Gold, Lost Empire, The Kingdom, The Tombs and The Mayan Secrets. As usual from Clive Cussler a "boys own" read full of excitement and tension. Also as usual a little light on accuracy. For the first ime in the Fargo series, we get the beter work by C. Cussler with this book. An intriguing interaction between Vikings and Olmecs wich has the consequence that the official history has to be rewritten, according to Cussler. he mystery of the bearded white man is solved. The unbridled greed of h rich of the earth ensures that everything is achieved with the necessary action.